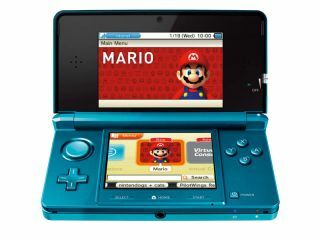 It was, of course, inevitable that Nintendo's chubby Italian plumber would grace the company's new 3DS handheld, with the company revealing the latest game details and plans for the upcoming Super Mario 3DS. The main thing you need to know is that feted game designer Shigeru 'father of Mario' Miyamoto says his latest game is a cross between Super Mario Galaxy and Super Mario 64, and – most importantly – will be releasing later in 2011. It is a shame that Nintendo couldn't have timed the release of the new Mario game to coincide with last month's launch of the new 3DS console, though fans will still be celebrating the fact that they will be able to play the new title later this very year. Miyamoto told our sister site Edge that the game is "a combination of Super Mario Galaxy and Super Mario on N64" and that it will be playable at E3 2011 in June. In terms of 3D gameplay, Miyamoto added: "For example, the floors floating in space: in 2D it's difficult to judge the distance, but in 3D it's really easy." Miyamoto confirmed that his new game is "completely original, and coming this year." E3 2011 runs from June 7 to 9 at the Los Angeles Convention Center. TechRadar will of course be bringing you all the biggest gaming hardware and tech news directly from the show, as it breaks. In other Mario news, Sega and Nintendo have also announced the new Mario and Sonic game for the Wii and on the Nintendo 3DS, Mario & Sonic at the London 2012 Olympic Games, set to feature over 50 original Olympic themed games including athletics, aquatics, table tennis, football and horse-rising. "Mario and Sonic have had a phenomenally successful partnership and we are extremely proud to be able to recreate this once again with Nintendo and ISM for the London 2012 Olympic Games," said Naoya Tsurumi, Chairman for SEGA of America and SEGA Europe. Expect that title to arrive at some point early 2012.